In-Home Elder Care includes services that improve the quality of life, increase safety, and simply make life less of a chore for the elderly. Specifically in-home elder care deals with the activities of daily living. 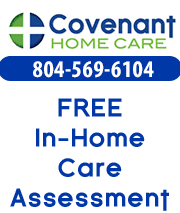 Companion Care Professionals Provide IADLs. Many people do not require care beyond assistance with IADLs, as long as they are fairly mobile, able to bath, dress and eat with minimal assistance. However, if they also need assistance with ADLs, then it is time to consider Personal Care Services. For example, a Companion Caregiver can prepare a meal for a client, but they cannot feed the client. The client must be able to utilize utensils and feed herself. A Personal Care Professional can both prepare the meal, cut up the food, and assist the client with eating it. ADLs (Activities of Daily Living), such as those listed above require additional training and cannot be performed by a Companion Caregiver. Employees who deliver Personal Care Services are also periodically supervised by a Registered RN. It is imperative that persons who are transferring, bathing, dressing or assisting persons with incontinence care have the proper training so that neither patient nor caregiver is injured or put in danger during the process of providing assistance.